KZN ANC to decide fate of mayor implicated in murder case - SABC News - Breaking news, special reports, world, business, sport coverage of all South African current events. Africa's news leader. 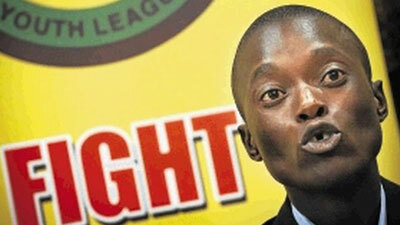 Former Secretary General of the ANCYL Sindiso Magaqa was attacked in July 2017. The African National Congress (ANC) in KwaZulu-Natal says it does not rule out the possibility of removing its mayor who has been arrested in connection with the murder of former ANC Youth League Secretary-General, Sindiso Magaqa in 2017. The mayor from a municipality in southern KwaZulu-Natal was arrested on Sunday by the police’s National Task Team investigating political killings in the province. Speaking outside the uMzimkhulu Magistrate’s Court, Provincial Executive Committee member Ricardo Mthembu says the KwaZulu-Natal ANC leadership is yet to meet to discuss the mayor’s arrest. This entry was posted on 18 Mar 2019,04:46PM at 4:46 PM and is filed under Politics, Homepage Latest Stories Slider. You can follow any responses to this entry through the RSS 2.0 feed. Both comments and pings are currently closed.